Posted by Lorea Thomson on Tuesday, March 18th, 2014 at 12:07pm. A lot of discussions and meetings about the redevelopment of the Jupiter Inlet Village have caused the Town Council to pause and revisit their approach for the area of Guanabanas, Square Grouper, Bubba Gump’s, Harbourside Place, etc. Their vision is of “a pedestrian-friendly, vibrant, commercial environment that provides public access to the Inlet Village and its waterfront”. The Town Council has listened to the feedback from the community during discussions about the proposed parking garage and parking scenarios. The evolving process has led to the withdrawal of the parking garage in favor of a proposed parking lot on Parkway Street. The lot takes place of a 3 to 4 story-parking garage, if approved on April 1; the lot will provide 300 parking spaces for patrons of the Jupiter Inlet Village businesses. Harbourside Place, which sits on the Intracoastal at the base of the Indiantown Road Bridge, is a mixed-use development project, which will include restaurants, shopping, and a hotel is expected to open in August/September of 2014. Harbourside features an open-air amphitheater, a marina, and public day docks. Along the waterway is a continuing pathway north called the Riverwalk, which will eventually connect to Burt Reynolds Park. U Tiki, waterfront restaurant, opened this month, and features 150 feet of Riverwalk (the Town of Jupiter’s waterfront pedestrian/bicycle path) along the Jupiter Inlet. The relaxed atmosphere takes advantage of the perfect weather with nearly 300 indoor and outdoor seating capacity. Docking slips are available if you wish to come by boat. If you are looking for a more upscale dining experience on the water, try Jetty’s Restaurant. It is located next door to U-Tiki on the Inlet overlooking the historic Jupiter Lighthouse. Guanabanas has grown and the addition is complete. The new building houses a new kitchen and office suites for the restaurant. It also has public restrooms to serve the neighboring park, Jupiter Inlet Village visitors and Guanabanas patrons. The new building blends beautifully with lush tropical landscaping that complement the island vibe of the restaurant. 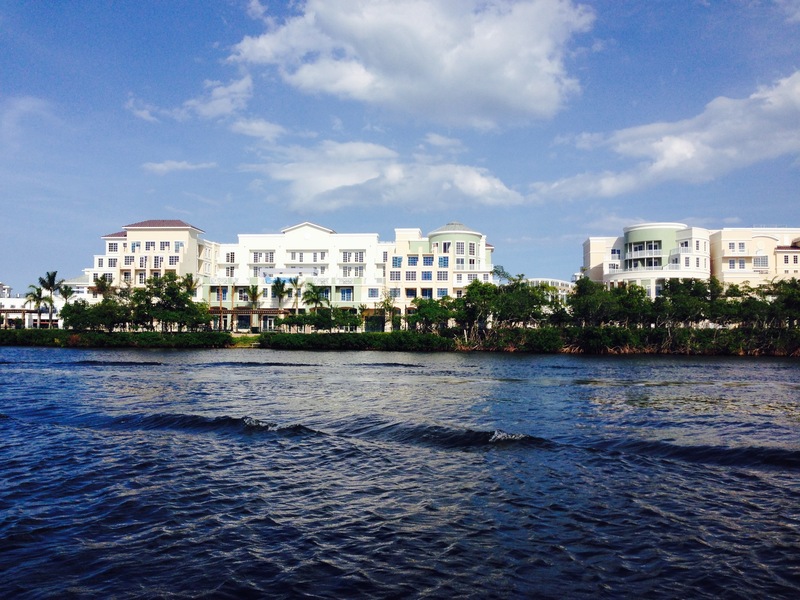 Waterfront Properties and Club Communities is located in the Jupiter Inlet Village on Parkway Street. For additional information and inquiries email: INFO@wfpcc.com.